As another eight council seats went up for by-elections last night, results could hail a shift in political ground across England in May. Labour held onto Worksop South East (Bassetlaw) with a 21 point increase in the vote share, and won Leek West (Staffordshire Moorlands) from the Tories with over 10 points difference. Indeed, a good night for Labour overall, as even in seats held or won by the Tories or the LibDems, Labour’s share of the vote increased by up to 11 points. It was a whole different story for UKIP, which found its vote decimated ward upon ward. Arguably, yet another sign that Brexit might have turned the Eurosceptic party into a household name, but also cursed it with meaninglessness thereafter. Undoubtedly the night’s highlight must be the hotly contested Ockendon seat, which was once UKIP’s pride and joy. This year, not only did UKIP sink by 46.5 points, but Labour and Conservatives found themselves coin tossing after both winning the exact same 36.2 per cent of the vote share. 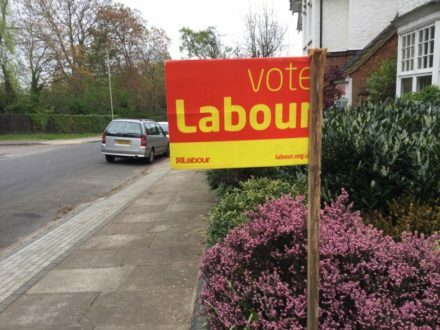 It was bad luck for Labour, with the Tories snatching the Thurrock council ward. Insert joke about the Royal Mint being anti-Jeremy Corbyn here.